風早健史 & 中村智哉. (2010, 5月). English Plus [特集]決定版！英語で日本を語ろう. Chopsticks are used to eat most Japanese dishes. Hold the chopsticks towards their larger end. Make sure that the bottom chopstick remains still while moving the upper chopstick to get the food. Also, don’t stick chopsticks into food or point them at someone. These actions are considered bad manners in Japan. 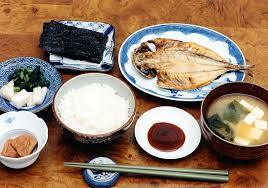 Usually, Japanese people say, “Itadakimasu,” before eating a meal. It basically means: “Let’s eat.” By saying this we are thanking the cook and nature for providing us with food. At the end of the meal, we say, “Gochisosama,” which means: “It was a great meal. Thank you.” The word gochiso originally meant to run around doing all the errands necessary in order to serve a good meal to your guests. When we say these words, we put our hands together as if in prayer. 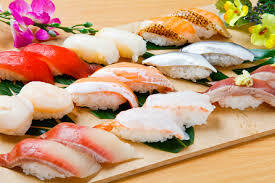 Japanese people tend to like raw fish, such as sashimi. But in the past, this type of delicacy used to be only for rich people. It was only after World War II, when refrigeration and better methods of transportation became available, that ordinary Japanese people were able to enjoy eating this type of fish. 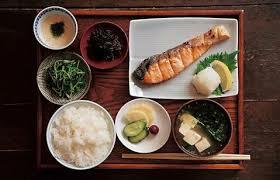 The typical Japanese meal consists of rice, miso soup, pickled vegetables, and fish or meat. Japanese food is usually lightly-flavored, mainly with soy souse. It has lower calories compared to Western food and is nutritionally well-balanced. Thanks to these kinds of Japanese food, Japan is known as the country with the highest life-expectancy rate in the world. 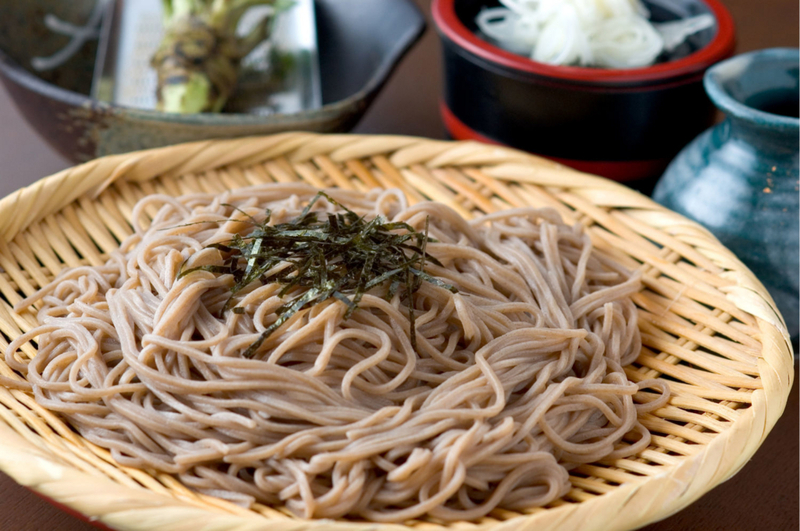 Japanese like to make noises when eating soba, udon, and other Japanese noodles. They do this to get the best flavor out of the noodles while they are hot, as Japanese noodles ten to lose their flavor quickly when they get cold. Also, the edokko (elderly people who were born in Tokyo) believe it is “cool” to make noise while they eat. Quite a few Japanese don’t know that making noises while slurping is considered bad manners in the West.